Will help treasure away that special occasion holding one 6" x 4" photo and one 3" x 3" photo. 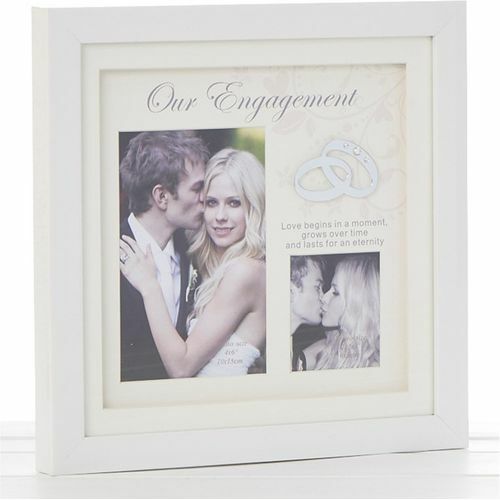 The border of the frame has a gloss white finish, while to the centre there is a mount for the photo along with two raised rings that are encusted with diamantes. There is also a verse that reads "Our Engagement" The frame comes packed in a silver coloured box making for a very presentable item.